Laser welding is the process of using amplified light to weld metals instead of the traditional way of soldering with a torch. That may not seem like a big deal, but it really is. The advantages are many. 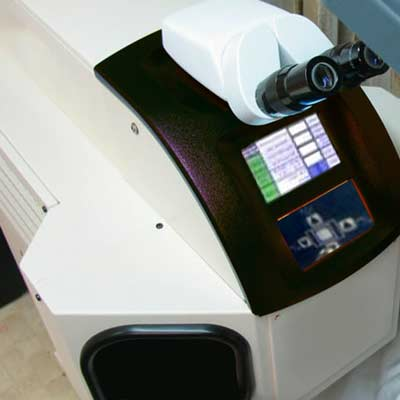 The laser beam itself is so precise and the heat is so localized, repairs can be made close to heat sensitive stones. There is no solder in a laser welded repair joint so they are much stronger than traditional solder joints. Also, we can now repair many things that were previously unrepairable like eyeglasses and costume jewelry. The addition of the laser welder is just one more thing that allows us to serve you better.